Your mobile app for Business in 10 minutes flat. Banyan combines the best features of Facebook & Whatsapp. Get a customized native iOS and Android version for your organization. Features include events, photo-sharing, private chat, resource bookings & more! Gift your organization some mobile power today! and more! Customize Banyan for your needs. 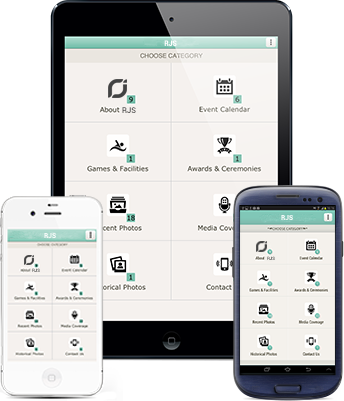 Banyan App has been launched in March 2014. Looking for early adopters! Banyan is already available on iOS and Android. Support for Windows Phone is coming soon! Rajat Agarwalla Co-Founder RJ Softwares. Reach out to your members and share information any time you want. Banyan is user friendly. You don't need a programmer to manage it. Easy integration with existing databases makes setup a breeze. A product of RJ Internet Ventures Pvt. Ltd.